The history of Iligan as an industrial city is intertwined with the history of the National Power Corporation and the expansion of its operation in Mindanao. The narrative of the former is incomplete without mentioning the latter. In 1937, NPC began gathering hydrologic data of the main river systems in the country. The power corporation investigated and surveyed a total of six of these river systems together with other streams. The data gathered by NPC became the basis of identifying the sites with hydroelectric potentials. The Lake-Lanao Agus River system was among the river systems surveyed and investigated. Thus, as the succeeding events would show, the auspicious beginning of Iligan as an industrial city in Mindanao started to unfold. The Lake Lanao-Agus River system straddles the provinces of Lanao del Norte and Lanao del Sur. Geographically, it is a unique region, the only one of its kind in the country. Lake Lanao is 702 meters above sea level, making it a natural reservoir. Its only outlet to the sea is Agus River. The elevation of the lake makes Agus River a high-energy stream with Hedroelectric potentials of 944 megawatts (944,000 kilowatts) when fully tapped. With its abrupt gradients or slope and high banks, it provides ideal sites of hydroelectric plants using the same river outflow for several times. Agus River flows out northward into Iligan Bay 36.5 kilometers away. The bay got its name from the settlement that later became the industrial city of Iligan. The city is strategically located at the mouth of Agus River on the north central part of the island of Mindanao, outside the so-called “typhoon belt” in the country. The development of the hydroelectric potentials of Lake Lanao-Agus River system particularly at the Maria Cristina Falls site, had been the sustained interest of the government since the early days of the American colonial rule. Surveys of the site were initiated as early as 1904. Time and again, proposals to harness its potentials had been considered. According to an NPC study, the absence of a major industrial power market and lack of capital prevented their realization. In the 1930s, there were already a few Filipino visionaries who advocated “the development of the country’s water power as an integral part of the national policy.” They pressed for recognition of the necessity for the development of indigenous sources of energy in preference to imported fossil fuel. It was not until 1940, that NPC conducted a comprehensive survey of the Lake Lanao-Agus River system to get a concrete and definite evaluation of its potentials as basis for an authoritative estimate of its development cost. NPC, through the survey, identified seven hydroelectric sites along Agus River, between its source at the Lake’s mouth in Marawi City and the river’s mouth in Iligan City. In 1941, NPC produced for the National Development Company the preliminary plans to harness the lake-river system. NDC was at that time planning to establish chemical and steel plants in what is now Iligan City. The outbreak of the Pacific war prevented the company from implementing the project. In 1947, the government issued “The Philippine Power Program” prepared for the Roxas administration by Westinghouse Electric International Corporation (based on data, survey and plans previously prepared by NPC). The program proposed the construction of power plants nationwide, covering a 12-year period ending in 1960. Westinghouse recommended the building of three major hydroelectric plants for the first five years. Their foreign exchange requirements would come from the proceeds of World Bank and U.S. Export-Import Bank loans. The Maria Cristina Hydroelectric Plant together with a companion fertilizer plant to absorb the larger bulk of power generated, was one of the three projects given priority. Ambuklao and Itogon hydroelectric power plants along Agno River in Benguet province were the other two. After several months of negotiation in Washington D.C. in 1948, the Philippine negotiators only brought home $20M extended by the US Eximbank for the foreign exchange requirement of the Ambuklao project. Unconvinced of the viability of the twin projects in Iligan, the World Bank did not grant any loan. Undaunted by the seeming indifference of the multilateral agency, the administration of President Quirino, who succeeded President Roxas in 1948, pursued the Maria Cristina projects through domestic financing. Alterations were, however, made of the original plans. In 1949, the Central Bank (which was founded in the same year with Miguel Cuaderno, Sr. as first governor) released to NPC the amount of P16 million. The loan would finance the first of the five generating units of Maria Cristina power plant and the first of the two units of the ammonium sulfate fertilizer plant. Actual construction began in August 1950. Pres . Quirino accompanied by his daughter and some cabinet officials visited Iligan in December 1951 to unveil a marker of the Maria Cristina Falls development project. This manifested the importance his administration attached to the projects. The marker is situated in the old NPC housing just above the famous falls. Being one of local application, House Bill 425 did not go through rough sailing in both houses of Congress. Pres. Quirino signed it into law as Republic Act. 525 on June 16, 1950. Benito S. Ong, the incumbent municipal mayor then was appointed by the president as the city’s first chief executive. The first electoral contest to choose Iligan’s first elective mayor, vice mayor and six members of the city council was held in 1955. The late Congressman Mariano Ll. Badelles became the first elected mayor of Iligan City. In May 1953, NPC commissioned the first generating unit (a Westinghouse generator and turbine) of the Maria Cristina Hydroelectric Plant. The bulk of its 25 megawatts of generated electricity was absorbed by the companion fertilizer plant, which produced its first bag of ammonium sulfate fertilizer in September 1953. For fiscal year 1953-1954, the fertilizer plant was one of the three big customers of NPC power in Iligan. The other two were the government-owned National Shipyard and Steel Corporation (NASSCO) which operated as steel mill and the Iligan Electric Company, an electric franchise holder in the city. On October 16, 1954, Maria Cristina Chemical Industries, Inc. (MCCI) inaugurated its calcium carbide plant and in 1959, its ferroalloy plant in Iligan. Founded two years earlier by Judge Guillermo B. Guevara, MCCI was NPC’s fourth customer in the city and the first private industrial firm to utilize electricity generated by the Maria Cristina power plant. Today, MCCI is still the country’s only producer of calcium carbide. Its bold venture into electrometallurgy to produce calcium carbide in an era of import substitution industrialization meant considerable savings of the country’s foreign exchange, the very objective of such economic strategy. The type of industries that were first established in Iligan are those requiring heavy consumption of electricity. These electrometallurgical and electrochemical ventures served as pioneers in an area that later grew into Mindanao’s industrial center. Their presence in a rather frontier territory soon attracted other industries and caused rapid urbanization of Iligan. These industries may have other reasons to come. Among which were Iligan’s locational advantage, adequate harbor, proximity to industrial raw materials, transportation facilities or the government’s policy of industrial dispersal. However, all of them were in unison in identifying the availability of cheap power in bulk as the attraction that lured them to Iligan. From 1962 to 1979, more industries came to put up and operated their factories in Iligan and its immediate environs, like Balo-i, Lanao del Norte and Lugait, Misamis Oriental, which share common boundary with the city. Those plants are located outside Iligan are still tied to the Maria Cristina power source and the city’s economy. The National Power Corporation responded to the coming of the aforementioned industrial firms to the Iligan Bay area especially in Iligan City by installing additional generating units to the existing facilities of the Maria Cristina Hydroelectric Plant at different periods from 1953-1977. NPC designed and constructed the Maria Cristina Hydrolectric plant or Agus VI in such manner that it can be readily and economically expanded to fit the latter installations. The last of these expansion projects began in 1974 and completed in 1977. This is the MC-5 project (the 5th generating unit of Maria Cristina H.E. plant), which necessitates the diversion of large volume of water that used to provide grandeur to the Maria Cristina Falls. The municipal board of Iligan quickly realized the revenue-generating potentials of the industrial firms attracted to the city by the cheap power and abundant water and raw materials. Starting 1954, the board passed ordinances to levy municipal taxes on certain industrial products or to collect municipal fees from business permits and licenses. As a come-on to industries to put up their factories in the city, the municipal board in 1958 passed an ordinance extending a five-year exemption from payment of municipal licenses and other taxes to companies which would put up their factories in Iligan. In the office of the Iligan City Treasurer is a graph showing the income of the city from January 1960 up to the end of calendar year 1986. In 1960, with an income of close to P1 million, Iligan was already classified as First Class city under the old classification standard of the Department of Finance. Nine years later it was reclassified as First Class “A” city. What is immediately perceptible in the graph is the steep rise in the city income from 1968 onwards. This considerable increase in income corresponds to the establishments of factories in the city by different firms which are based in Manila, Makati and Cebu. In what is so far the only study on the demographic effects of industrialization in Iligan, Richard Ulack contends that Iligan is one of the few rapidly urbanized small-sized cities in Southeast Asia due to industrialization. From a municipality of 3,239 inhabitants in 1903, Iligan is now an urban center with a population of approximately 300,000 people. The censuses taken prior to the conversion of Iligan from a municipality to a chartered city in 1950 show that the then garrison town of some 2,872 inhabitants at the turn of the century was just an insignificant administrative unit under the jurisdiction of the province of Ozamis and later that of Lanao. The Censuses of 1960, 1970, 1975 and 1980 have shown that Iligan has one of the highest population growth rates of any city in the Philippines. This indicated that some thing other than the city being an urban place accounted for such phenomenal population increase. Other Mindanao cities of Cagayan de Oro, Butuan and Davao also chalked rapid increase in population due to considerable in-migration. However, Iligan grew as a result of rapid industrialization. The growth of Cagayan de Oro, Butuan and Davao was in response to increase in settlement in their hinterlands. Employment opportunities offered by several industrial firms in Iligan and immediate environs attracted a large number of in-migrants to the city. They were skilled and semi-skilled workers and professionals from all corners of the archipelago very much unlike the pre-1950 migrants who came exclusively from one or two places of origin such as Cebu and Bohol. The later arrivals settled in the city’s urban commercial and urban-industrial barangays unlike the pre-1950 migrants who preferred the rural barangay of the city for they were engaged in fishing and farming. The phenomenal growth of Iligan did not just proceed smoothly without the “pains of growth.” Problems attendant to urbanization such as inadequate social services and housing facilities and insufficient number of jobs to absorb all the city’s in-migrants are now being felt. Added to these are the problems attendant to industrialization such as degradation of the physical environment due to industrial waste and the labor unrest. Since its founding as chartered city in 1950 until 1975, Iligan did not have a master plan, zoning regulations or building code. The industrial firms which established their factories in the city between 1953 and 1975, when a city zoning ordinance was finally enacted, had some considerations other than following some kind of city plan. Practically all factories are oriented to the Iligan Bay. The advantage of accessibility for sea-going vessels which transport the firm’s raw materials and finished products was the paramount consideration for the selection of their present plant sites. Iligan holds the distinction of having the most number of private piers in the entire country. Pollution of the environment is one stark reality staring the inhabitants of Iligan in the face. 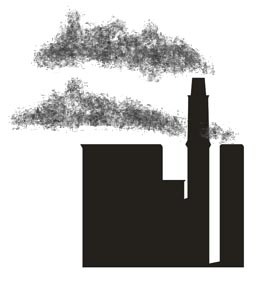 Since most factories are congregating on the coast with very limited area, chances are the industrial pollutants of various types would easily get concentrated beyond what is humanly tolerable or safe. In Iligan, practically all types of industrial waste are found. Iligan industries could not provide enough jobs to all who seek employment. The city is now saddled with problems that result from lack of employment opportunities. Inadequate housing facilities and the emergence of squatter colonies with all the problems attendant to substandard living and inadequate public facilities such as sewerage and garbage disposal and water system are some of the more pressing problems. The growth and development of a city, like Iligan for that matter, are subject to various policies in addition to historical and physical factors. Although some of these policies are macroeconomic in nature and intent, such as trade and industrial policies, others are local in nature. These have mainly to do with planning and management of the city such as provision for infrastructure and social services. Physical factors like Iligan’s geographical advantage and natural resources endowments can provide advantage but are not sufficient for urban development if good urban planning is wanting. On May 17, 1989, a conference was held in Iligan City. It was jointly sponsored by the Center for Research and Communication and certain government agencies and private organizations in the city. The theme of the conference is “ROUSE A SLEEPING GIANT,” and it conjures an image of a city in suspended animation, bereft of creativity and internal vitality to respond to challenges for a self-sustaining economic growth and prosperity due to ineffective or absence of urban policies and programs.